Whether you want to join, donate, volunteer, go hiking, renew your membership, or learn the latest on a particular forest issue…contact us today! We would love to hear from you. Contact ForestWatch District Leader of your area. Georgia ForestWatch offers a variety of volunteer opportunities. If you would like to learn more about the Chattahoochee-Oconee National Forest and help with forest monitoring activities, please contact our Forest Ecologist, Jess Riddle (jriddle@gafw.org). Do you enjoy hiking in the Chattahoochee-Oconee National Forests? If so, sign up for some of our hikes and see if you might want to become a ForestWatch hike leader. Do you enjoy writing and have some expertise to share with our members? Or are you just passionate about the environment? If so, we are always looking for guest writers for our quarterly newsletter, Forest News. If you would like to volunteer in the office or help out with events, please contact our office at 706-867-0051 or info@gafw.org. Do you have webpage or graphic design experience? We are always looking for help designing fliers and updating our webpage. If you have a passion for protecting the Chattahoochee-Oconee National Forests, with fundraising, non-profit management, membership cultivation or financial management skills, please contact the office about possibly becoming a Board member or assisting the appropriate Board Committee as an outside expert. Sign up for our alerts and learn more about how you can become an advocate for Georgia’s national forests. Our issue alerts will inform you about troubling timber management projects in the Chattahoochee-Oconee National Forests, so you can write informed comment letters. If you would like to volunteer for ForestWatch, please call the office at 706-867-0051 or send us an email (info@gafw.org). You can also fill out the volunteer application form and send it to: Georgia ForestWatch, 81 Crown Mountain Place, Building C200, Dahlonega, GA 30533. Georgia Bartram Trail Group: Currently, a single person maintains the Bartram Trail in Georgia. For safety reasons, he needs someone to accompany him when he uses a chainsaw to clear the trail, to help carry chainsaw accessories, and move cut branches from the trail. 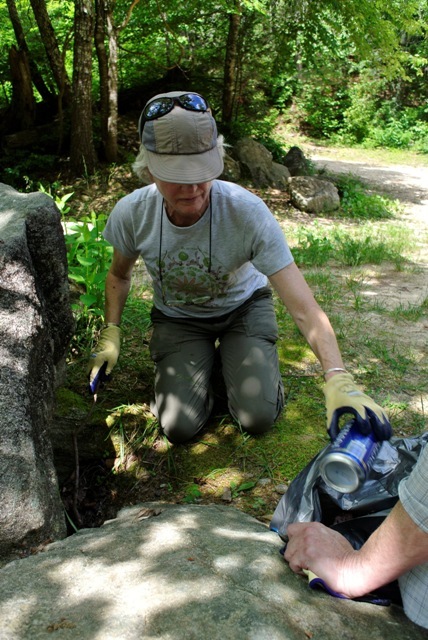 Most of the volunteer’s time would be spent hiking. Please contact our Forest Ecologist, Jess Riddle at jriddle@gafw.org if you would like to help out with the Bartram Trail. Outreach Coordinator Needed. Click here for more details. Below is a map of our office location near downtown Dahlonega.